Lots to share today. 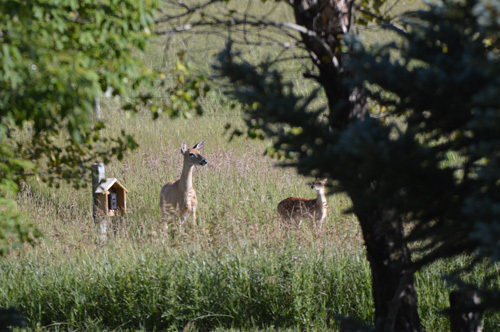 The other evening 2 deer families (doe with 1 fawn and doe with 3 fawns) entertained us for 1/2 hour. 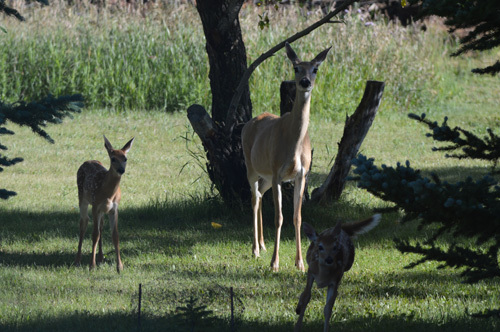 Amazingly they all came together and all 4 fawns ran around our trees playing together. I’ve put a few photos on this post but you can see all of them here. 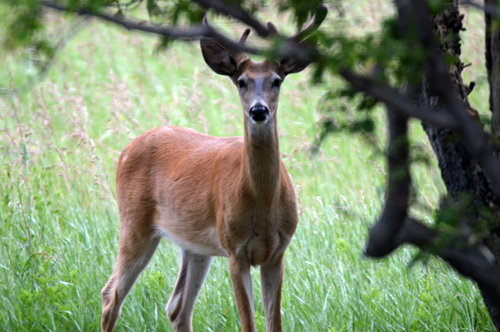 Two bucks also passed through. I didn’t manage to get a photo of them together. 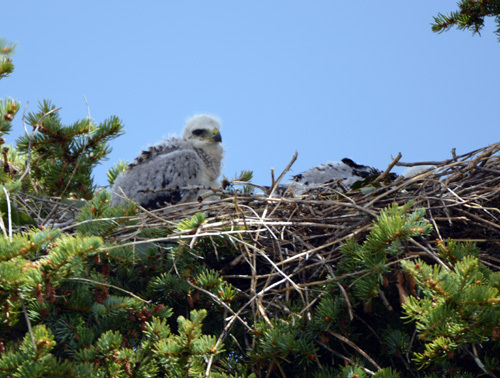 The Swainson’s Hawk chicks are growing up fast. 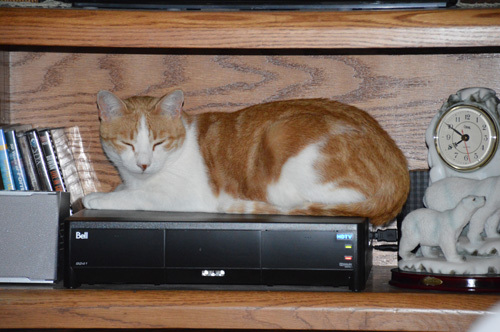 Included are a couple of comical photos of our cats. 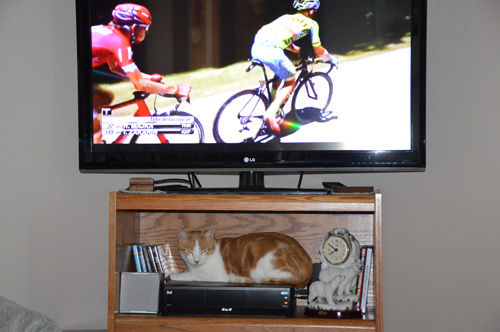 ET loves to sit on top of the satellite receiver while we watch tv (the Tour de France is on). 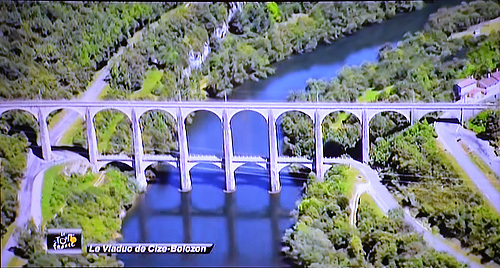 I also captured an image of a viaduct in France. The Tour is great to watch as they show the beautiful scenery of the area where the guys are racing. 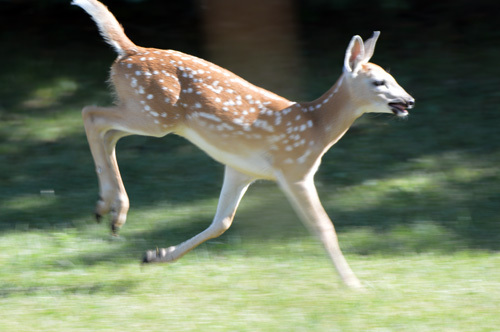 Doe with 1 fawn arrives. 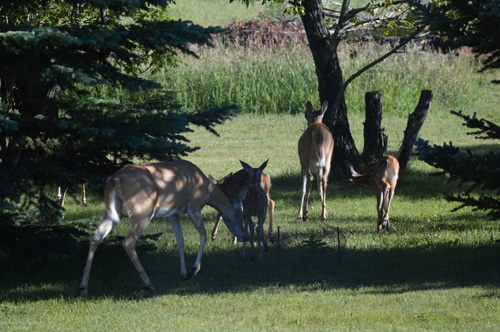 All 4 fawns playing together. Notice only 1 foot is touching the ground! 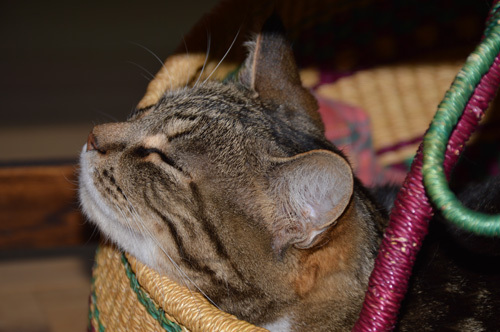 Moxie sleeping in the basket. ET under the television on top of the satellite receiver. ET likes to lie down on top of the sattelite box. Viaduct in France. This is amazing! Cute pics of the animals, including ET. The viaduct is interesting. 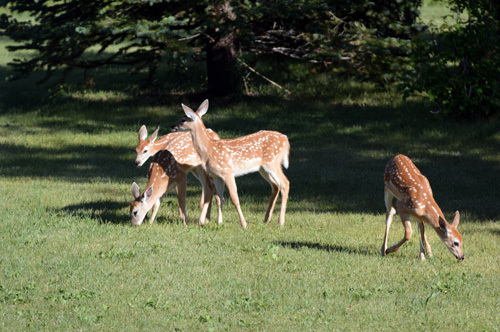 The four fawns playing together is really unique! I thought I was lucky to see two at once! Perfect photo also, the timing has to be just right to get them with all their heads visible.